Yeah! I am just out from the theatre (in Italy the movie has been released on December 16th, even before the US date, for some obscure – but welcome! – distribution reasons), and here I am trying to put down a few comments. This doesn’t want to be a full review: I am not evaluating the movie itself, and I am not a critic. Just comments: this is my personal experience as I went to watch “Star Wars: Episode VII”. And there will be no spoilers here, I promise – only elements that have already been widely anticipated or have appeared in the trailers, and so can safely be considered common knowledge. The overall feeling was similar to watching a football World Cup final match, or the Olympic Games opening ceremony: a global event that collects millions of people at the same time, from all over the world. The sense of anticipation in the cinema was so strong, you could almost touch it. No need to remind me that it’s something very much alike to an organised cult (all the signs are there: periodic meetings, a “Canon” established by the authority, a jargon only for initiated, financial donations given spontaineously to the leadership even if it’s already rich beyond imagination…) and yet – when the movie opened with the light blue iconic message “A long time ago, in a galaxy far, far away…” followed by the famous fanfare, people started cheering and there was a collective, audible sigh. Yes, it’s love, and it felt good. 1) did I like the movie? Yes. YES! 2) is it a Disney picture, with singing princesses and cute mascottes? No, definitely not well actually… no / and yes. 3) Is it a groundbreaking, oh-my-god-my-face-has-melted-away kind of thing? Mmmmh… no! But wait – does it mean bad news? Again, no. If you like Star Wars and your expectations are for something from today and from this planet, you will love this one. Guaranteed. Give me a second and I will try to explain. First of all, comparisons with anything else from the franchise are out of place. Let’s not even talk about the Prequels here, please: they are there, not without their own original good ideas and scenes, but we can finally consider them like an eccentric spin off. They are gone, Episode VII buries them deeply in the past, while here we move into the future (and thanks goodness). But it’s also impossible to compare “The Force Awakens” with “A New Hope”. And mind you, not for reasons connected with technology or the passing of time. The movie looks and feels fantastic on screen, top-notch quality (I watched it in 2D, planning a second time in IMAX 3D), but it homages the original trilogy in a loving, even bizarre way that clearly shows everywhere. At times photography, lights, effects look and feel exactly like they did in the 80s movies – I wouldn’t be surprised if some filters were applied to the cameras to produce a “vintage” effect. I could swear that some sequences in the Falcon’s cockpit are so faithful to the classic movies, it felt like an optical illusion. And again, I mean all this definitely as a good thing. The action sequences in Ep. VII are breathtaking. 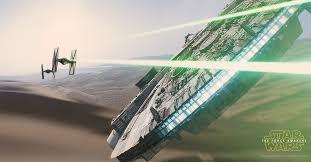 “The Force Awakens” feels to me like a mix between “A New Hope” and “The Empire Strikes Back”. As a fan I am crazy, not stupid: I am well aware that this is probably intended as an operation from the beginning. A plot engineered to take the best from the two most loved episodes of the franchise… but I don’t mind. The suspension of disbelief works, and I don’t feel cheated: the mix is original, fresh and it doesn’t feel to me manipulative or fake. While it’s clear that Abrams is often winking to the fanbase, the feeling is that he does it out of love and respect for the series. It never felt “too much”, for me. At the same time, I was surprised but I never really felt emotional. Not once. And that is strange coming from me, I cry very easily at the movies like when the T-Rex appeared on screen in Jurassic World when something touches me personally. Yesterday I enjoyed the story, sometimes intensely; I was nodding, smiling and grinning very often; and some plot moments are in fact really strong: but I didn’t feel tears in my eyes. Oh and I was so ready for it! Who is giving the saber to whom? Uuuuh spoiler alert! The spoiler free plot: the scene opens in a very familiar, Hero’s Journey way, with our unaware heroes going about their own business, living their ordinary lives. 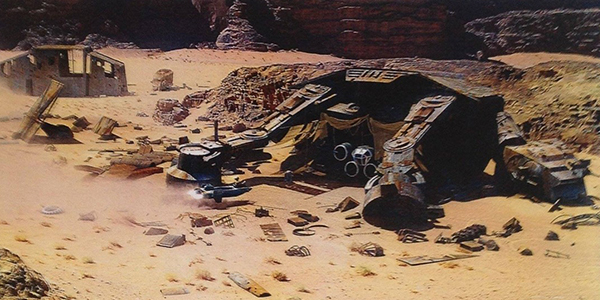 Even the setting – a huge, desolate, Tatooine-like desert planet will feel very familiar. Except, it’s not Tatooine. Then, stormtroopers appear. Followed by X-Wings and Tie Fighters. And by droids and the main characters. And then, the Millennium Falcon. In the first part of the movie a few plot events feel a bit rushed – maybe due to some weird editing choice? – but on the whole, once the story kicks off, it unfolds nicely. 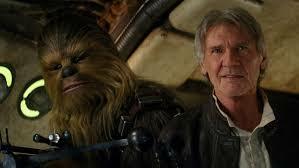 When Harrison Ford, once again wearing the clothes of Han Solo, enters his cockpit and says “Chewie, we are home!”, he actually means that We in a broader term. Everybody who has ever loved Star Wars will feel at home here, from the very beginning. We are all home, Han. The main challenge is nothing too original (it actually feels kind of “that, again?”) but it’s certainly impressive and has a larger than ever scale. The story ending will not make you jump from the chair. But the main storyline is not the strongest element of the movie: where “The Force Awakens” really stands out, is in a few plot twists, the visionary visuals, and the complex interactions between the characters. Because yes. A big feature that impressed me in Ep. VII is in the plural form of “the characters”. This is much more of a group picture than the other episodes ever were, and this feels like a refreshing and welcome element. The story has many heroes, old and new, and each individual tale will have its time to unfold and be told. Many characters already have their moments of glory, while others feel still underdeveloped, but the feeling is that they will find more space in the following chapters. All together, what I really loved is that almost every character appears as tri-dimensional, with their doubts, tension and moments of weakness. This applies for those standing clearly in the Light Side, for those So-and-So but also for the ones leaning towards the Dark Side – and this, for the first time after the redemption of Darth Vader. Star Wars has actually got us used to villains who are just evil. Now it was about time to introduce more modern negative heroes. Kylo Ren appears to us as human. Very human. And I just loved the way his light saber felt on screen: wild, dangerous, out of control. So Dark Side. Speaking of which: I loved the lightsaber duels! They feel raw, primitive, brutal. 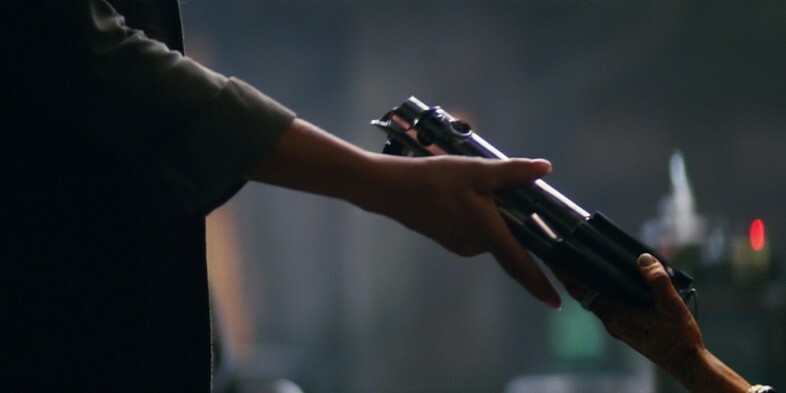 I interpret it as a sign of the fact that there is no Force training anymore, on both sides people have to self learn (Kylo’s cross-shaped lightsaber is his own creation, for example) and as a result… they mostly don’t know what they are doing. Forget the elegance of the prequels, where the Jedi temple and Sith academy where in full power. Here people have to learn by doing, and playing with lasers means that people get hurt. A lot. Well done! The First Order, the mysterious organisation that follows the steps of the Empire, has many secrets to reveal. This is an ambitious movie that feels like part of a series. Which is also a good thing. The story clearly has a wider arc than what is shown on screen, and this is only the first episode. Which is reassuring, but can be confusing. At the end, when the titles started rolling, I was left with a strong feeling that I just wanted… you know, more! I wanted to spend more time with the characters, some of which already feel very dear and part of the “Canon”; wanted to know more about the background story; and wanted to feel more about what is next to come. Star Wars has always been about cycles, some beginning where others end, and this is no exception. No spoilers, remember? Characters from the Classic trilogy are here to open the ground for the new ones. They are Mentors, each in their own right. Many plot elements will be familiar – some identical, some bigger, some presented in a fresh way – but this is a Director’s movie, and Abrams shows clearly he is not afraid to play with the material he has been given. The giant’s feet are not made of clay. Be prepared for at least one major plot twist (which I have to admit got me completely by surprise!) – and on this, I will say no more – and for the feeling that more will certainly come. Some of the most inspiring views from Jakku are reminiscent and evoke the past wars between Republic and Empire. Rey lives as a scavenger, looting the relics of the past without knowing much about them. Acting is convincing and solid in all major roles. Finn (John Boyega) has some Tarantin-esque comedy-action quality that make him immediately likable. Dameron Poe (Oscar Isaac) is the daredavil pilot, who “can fly anything” and is too cool for school (I enjoyed him a bit less, in that he doesn’t show – yet? – much of a complexity). Rey (Daisy Ridley) is the heroine here, I really loved how she displays a complex balance between her fragility and unbalanced past, with the strong potential she is just starting to explore. 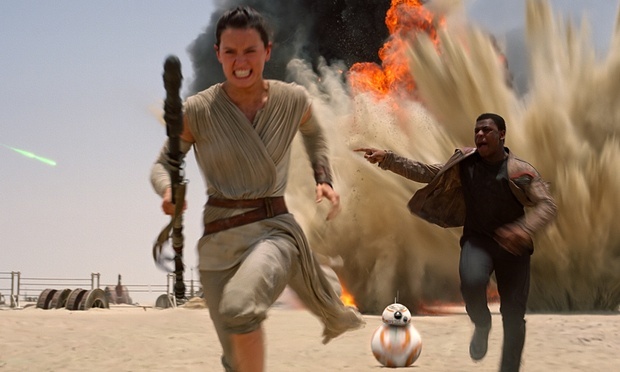 Rey, Finn an BB-8 run away from danger. The majority of the effects used in the movie are mechanic and add to the real feeling of the story. 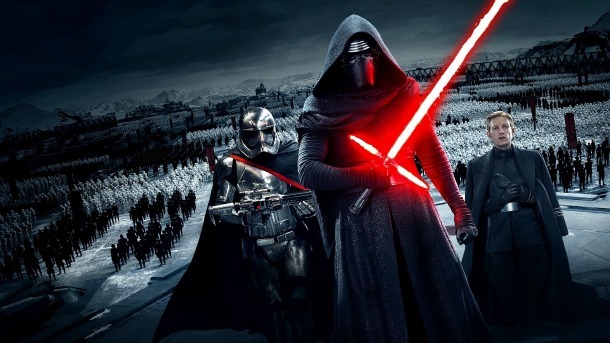 In the “Villain” section, Kylo Ren (a very convincing Adam Driver) is really interesting. Raw material, a villain able to have tears in his eyes, and who has anger bursts that scare stormtroopers away. Dangerous stuff: he is the adolescent, rebellious son nobody would ever want to have. And I have the impression that General Hux (Domhnall Gleeson) and Captain Phasma (Gwendoline Christie, that we only get to see with her helmet on) will surely have much more to say in the future. The Supreme Leader Snoke (played by the master of all computer graphic characters, Andy Serkins) is too Voldemort-ey for me to be interesting, at least for now. Yes, we get it: a super evil ghost-like emperor with a mysterious agenda. And with such a title, I cannot stop thinking about Kim Jong-un to take the guy seriously. And the “veterans”? Carrie Fisher as princess no sorry, General Leia feels credible in showing how the signs of time and the responsibilities of power have affected the character we all know and love; Harrison Ford as Han Solo is really shining in his good old, classic rogue-with-a-golden-heart role. I was so glad to see more of him, and he actually gets a very central place in the whole story. And Luke? Well… You will have to see the movie, to know. Chewbacca is in great shape, more expressive than ever before, and it’s amazing how he can deliver punch lines and result perfectly real when he is, well… a guy in a furry costume. What an amazing creation as a character, he is. 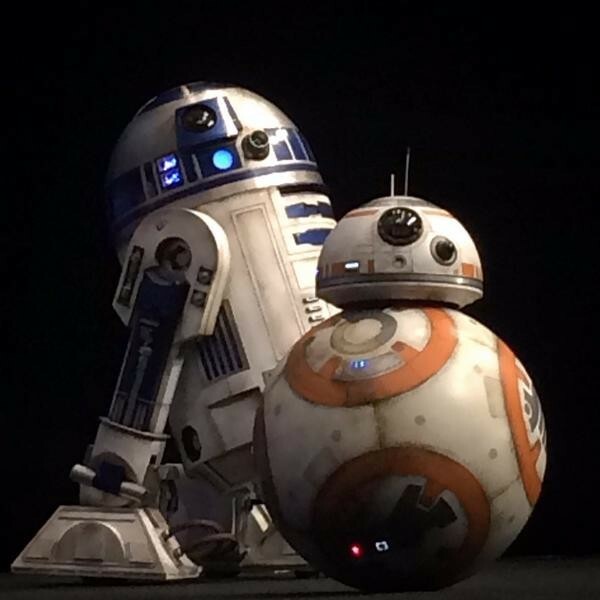 And finally, the droids: C3PO and R2D2 appear, and generate waves of “aaaaaw” among loving fans in the theatre, but the real star of the show is BB-8: he is so cute you wouldn’t believe. Yes, he sounds like “baby” even in the name and yes, his behaviour (and… feelings – yes, you can tell that rolling ball has feelings!) are definitely Wall-E-ish. It’s the only place where you can really see the Disney logo shining in bright colours. And yet no, I didn’t find it cheesy. It’s going to blow away everything else in terms of merchandising, obviously, but we are firmly not in Ewok territory here – or god forbid, Jar Jar Binks. Two generations of droids, the old and the new meet. So, in conclusion: it is a good, very good Star Wars movie, with the all the right elements in the right places. Minus, maybe… the sheer sense of wonder that I learned to associate to “A Galaxy far, far away”? The reason is probably my own exaggerated expectation. I see the STAR WARS logo and I prepare to be surprised, like in a twisted Pavlov effect. The truth is that we are in 2015 and I am getting old a grown-up veteran of so many stories and science fiction. And still… I was maybe expecting to be blown away, and it didn’t happen. But don’t let me be misunderstood: I would still put “The Force Awakens” up there together with my favourites from the series, and probably in the top three, although I cannot exactly say in which priority order right now. It opens as a “New New Hope” and unfolds as “The Empire Strikes Back”, probably getting a lot from each, plus its own fair and unique share. When it really shines, is in the interactions between the characters: it’s clear that cinema has been learning a lot from tv series lately, and that’s a healthy thing. The ending is very open and that might feel somehow anti climatic, but don’t let yourselves be disappointed by this and hold your horses: this time everybody knows that there is more to come. I don’t know about you, but I feel very relieved knowing this. I honestly think that “The Force Awakens” puts the franchise back where it belongs, on the shelf of superb sci-fi and storytelling, and is in its own right a fantastic piece of cinema with an overall solid story, convincing acting and interesting characters. The bet has paid off. What is even better, the success and acclaims that this movie deserves will bring a renewed vote of confidence (and quite possibly, even bigger budgets?) to Abrams and the producers. Which makes me believe, again for the first time in such a long time, that the best for the Star Wars universe may be yet to come.